A pioneer of French New Wave cinema, director Agnes Varda built an illustrious, decades-spanning career capturing the subtle ways everyday life can be messy, fulfilling, and ultimately beautiful. In The Gleaners and I, she travels the French countryside and through major cities documenting a series of gleaners as they seek out food, treasure in the trash, and sustaining personal connections. In another of her classics, Black Panthers, she turns her lens on an Oakland demonstration against the imprisonment of activist and Black Panthers co-founder Huey P. Newton. In these films, and the rest of her oeuvre, she channels an innate empathy, perceptivity, and artistic eye into timeless statements on humanity and social justice. On an unseasonably warm, possibly climate-change influenced, Friday in February, Agnes Varda arrives at New York’s Blum & Poe gallery in a spritely mood, dressed head-to-toe in maroon, flanked by her assistant. The seminal French New Wave director’s iconic bowl cut has been dip-dyed a red-purple shade almost perfectly matching the scarf she playfully folds and unfolds around her shoulders. At 88, the godmother of contemporary cinema, a frequent collaborator with seminal filmmakers Chris Marker, Alain Resnais and Marguerite Duras, and originator of some of film’s most compelling, experimental docs, was planning to show us around her new series of installations. Unlike her work on Cléo from 5 to 7 and The Gleaners and I, today she’s walking us through a series of immersive physical worlds and video tableaus installed on the top floors of an Upper West Side prewar townhouse. 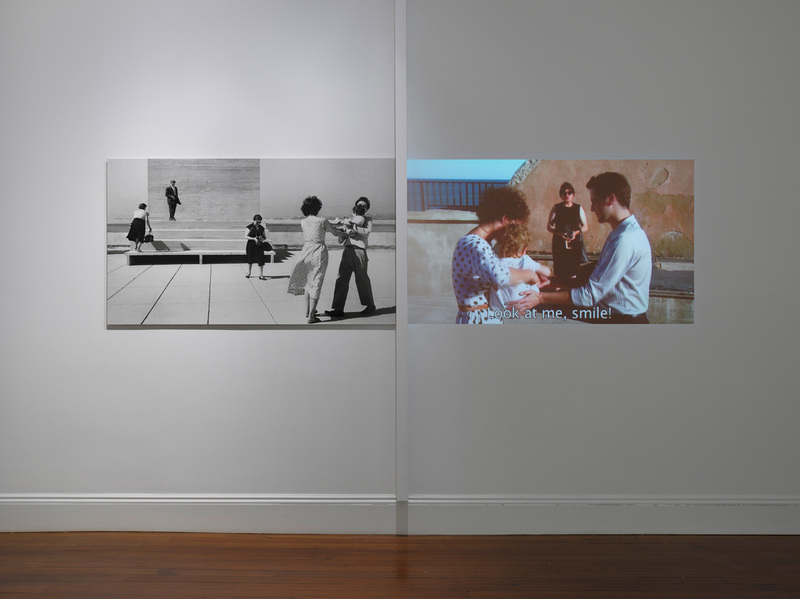 In her first-ever NYC show, produced in conjunction with the film series “Agnès Varda: Life As Art” at New York’s French Institute Alliance Française (FIAF), it appears that the woman famous for inspiring thousands of DIY directors has shifted her lens to a new medium, visual art. One of the first things you notice about Varda, other than her uncanny knack for monochromatic dressing, is her distinct scent, a strong musk of violet and woody notes, which only adds to the perception that this woman is of the natural world. 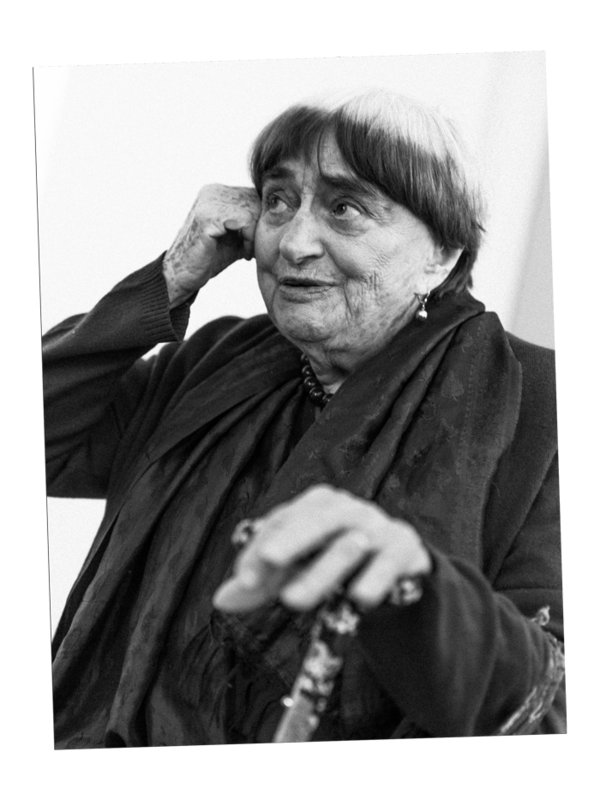 A pioneer of the auteur theory of filmmaking, which emphasizes sense-of-place over dialogue, Varda is known for her preference for seaside life, as best captured in the 2008 film The Beaches of Agnès. 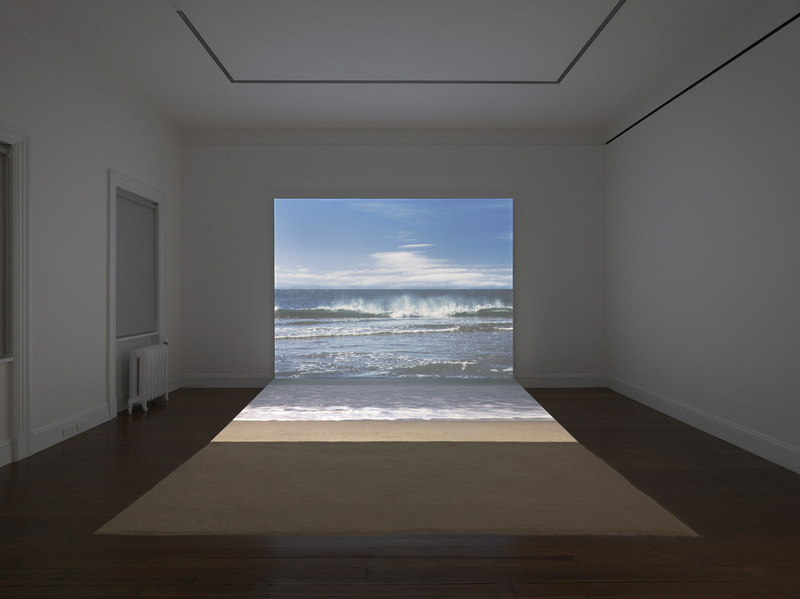 It then makes sense that she would install not one but two separate immersive beach scenes in this 2-floor show, complete with imported sand and a cacophony of seagull calls. 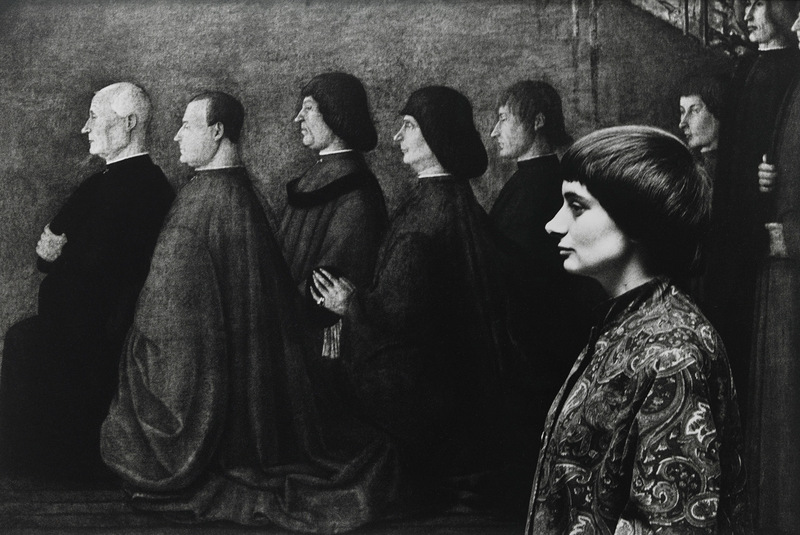 Varda began her career as a visual artist, studying at the École des Beaux-Arts before going on to work at Théâtre National Populaire as a photographer. In this next phase of her life, she’s re-discovering collage, sculpture, and installation with a vengeance. In a particularly stunning piece, she reworks reams of super 8 film into tiny models of a shipwreck and greenhouse, playing literally and figuratively with the ideas of destruction, reuse, and renewal. Hailed as a feminist artist, she was one of the first directors to allow women on screen to exist wholly outside the spheres of male desire and domesticity. In her work, they are fully fleshed out in all their messy, human, and often mundane glory. The Lena Dunhams, and even the Jill Soloways, of the world owe Varda everything. “It’s simple to say that birth control was an incredible step in society. But can you imagine all the centuries where women just had to accept that [it was unavailable]? My grandmother had 12 children! And still, there are people that are fighting against it.” She shakes her head. This straightforward and unpretentious dissection of life and art is a huge part of Varda’s appeal, but the approach also extends to her process. 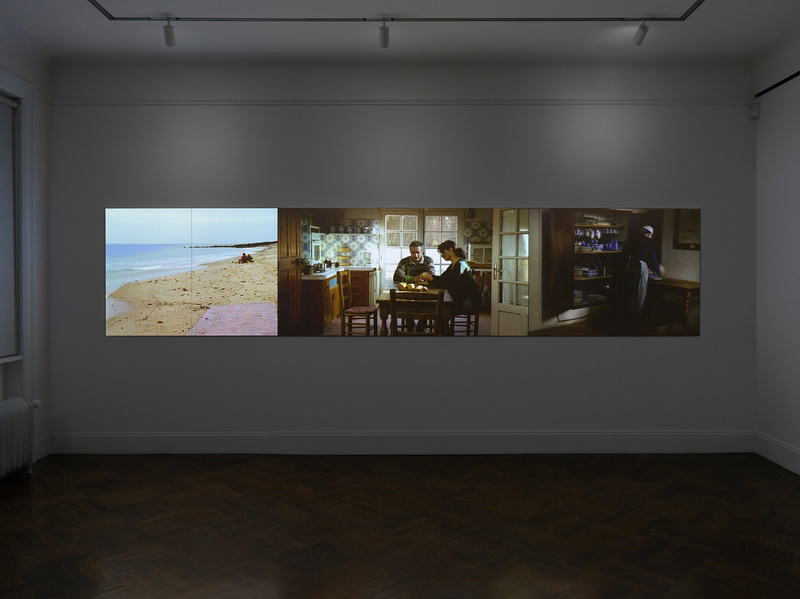 Frequently casting unknowns—in one video installation the romantic lead is played by her plumber—the work exemplifies the many ways in which a small, quiet life can be beautiful. 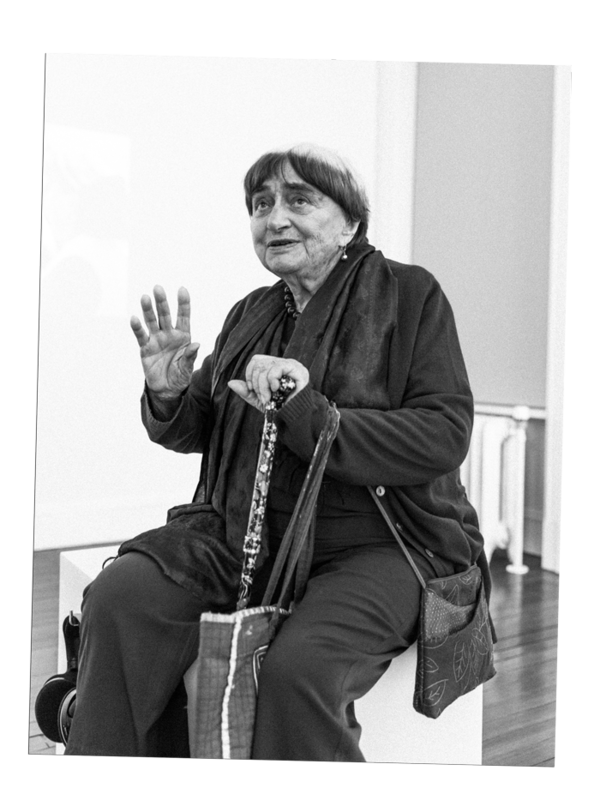 As Varda continued to slowly walk a tiny group of us through the exhibit, speaking quietly but intently, we futilely climbed over each other, trying to better hear what she might be saying. One interviewer, working on a doc about documentary films, asked what advice she might have for artists hoping to make a difference in an increasingly politically volatile culture. 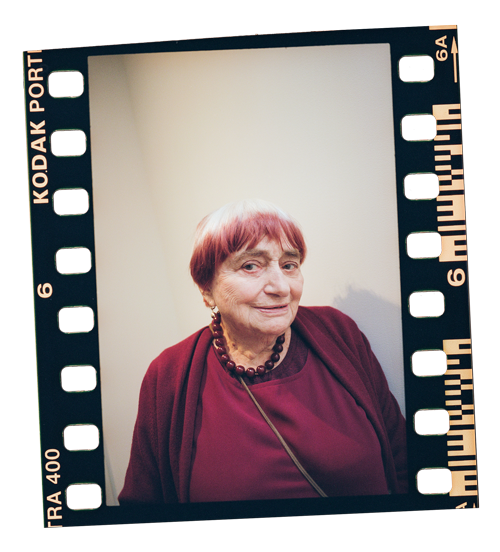 Photos of Agnes Varda by Christelle de Castro. Archival and exhibition images courtesy of the French Institute Alliance Française.